Dylan Hughes is an Outer Banks native and a 2015 graduate of Manteo High School. Growing up in Manteo, he enjoyed water sports and was passionate about theater, appearing in school and outside productions. After high school, Dylan started working at Roanoke Island Festival Park. If you have been to the Settlement Site in the last few years, you may have seen Dylan in costume delighting children, locals, and tourists by playing the role of the head blacksmith. In January 2018, Dylan’s life changed. He found himself needing oxygen 24 hours a day and unable to work. The Cystic Fibrosis he was diagnosed with at age 9 had progressed to a critical stage. Cystic Fibrosis (CF) is a progressive genetic disease that causes persistent lung infections and limits the ability to breathe. People with CF have a defective gene that causes a thick sticky buildup of mucous in the lungs, pancreas and other organs. While there has been significant progress in treating the disease, there is no cure and many lives are cut far too short. Sick and unable to work, Dylan went through his savings and found himself having to choose between buying food and paying his rent. He was not yet receiving disability. His family helped as much as they could. Like many who eventually find their way to the Relief Foundation, Dylan was not someone who thought he would ever have to ask for help. His first stop was Dare County Social Services who assisted him in applying for food stamps and in completing the Relief Foundation application. The Foundation immediately stepped in and paid Dylan’s rent for the next four months. 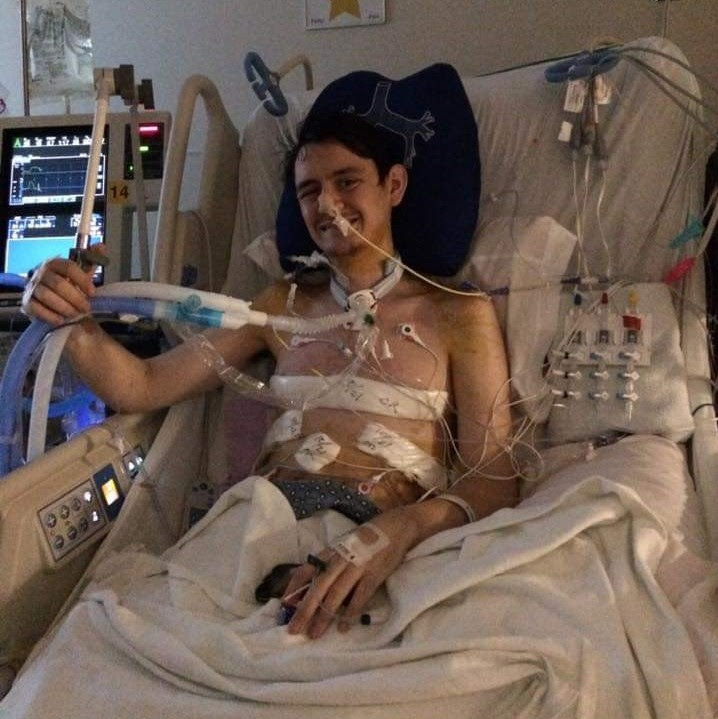 Those rent payments along with Food Stamps and assistance from the Cystic Fibrosis Foundation helped Dylan to bridge the gap and make his way to Duke where he finally received a lung transplant in October 2018. Dylan is again living on his own and has been approved for disability. While he knows there is always a chance for rejection, he feels fortunate and said he prefers the 40 pills he takes a day to the breathing treatments he once had to endure. He looks forward to returning to his “dream job” at Roanoke Island Festival Park where he can again use his talents to teach our local history through his performances.